Great haiku, Sarah. I love that bonsai! She is a beauty, but not my artwork. Wow, I am impressed by your ability to tend that venerable little tree. I tried bonsai once but ended up fatally over-trimming the poor thing. I think you’ve just inspired me to do a little more research and try again! I admit to this particular tree belong to someone else. But it has inspired me to have a go with my own tree in the future. 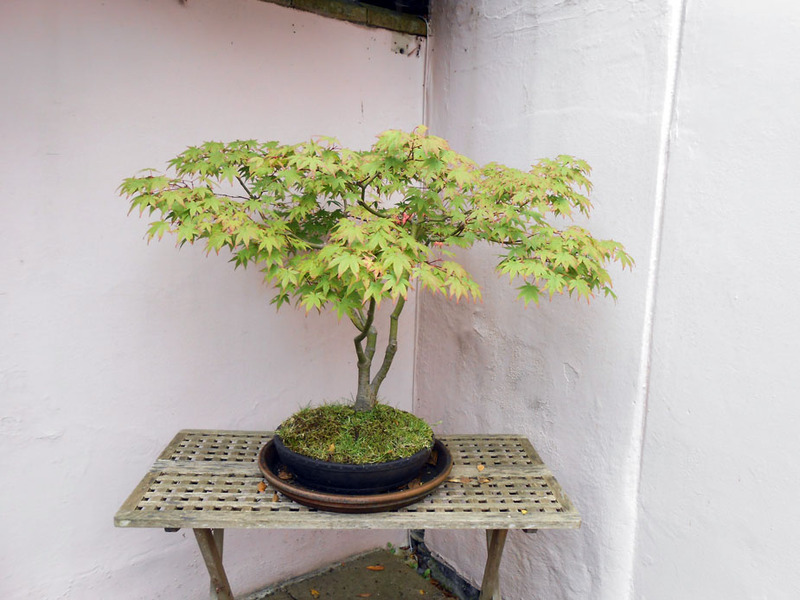 Apparently it’s a real art form trimming a bonsai with exactitude, and very easy to kill the poor things if you get it wrong — quite a responsibility. Apparently, in Japan they often treat them as part of the family and some bonsai have outlived their owners as a result of all that precise trimming, combined with concentrated meditations upon one plant!